History bears witness, that the world is made up of Kings and court jesters. We moved on to an era of democracy, but unfortunately for our great land, court jesters live on. Court jesters who still revere political ‘rajas‘ and their ‘vanshaj’. But perhaps the most unfortunate part is, that it is these court jesters who wave the torch of neutrality, and use the flames to burn down the very columns of democracy, that they pretend to uphold. Today, Mr. Ramchandra Guha wrote a ‘scathing’ article about the proximity of businessmen, actors, cricketers, etc. to politicians and the things they say because of their said proximity. At the very onset of the article, Guha talks about how after achieving success, these personalities refuse to talk about social injustice or crimes of the state. Guha cites the example of Virat Kohli, a cricketer who supported PM Modi’s demonetisation in a bid to “expose” the high and mighty who refuse to criticise Narendra Modi because of sycophancy. What he fails to mention is, in a survey taken right after demonetisation, over 93% people who took the survey supported the move. Now, either Guha is saying that all those who support demonetisation are sycophants, or he is saying Virat Kohli doesn’t have the right to express his opinion as a citizen simply because it doesn’t align with what Mr. Guha, who is famed for writing ballads for Nehru and the parivar, believes in. It is said that true measure of love is perhaps not so much as who praises you when you do something right, but who closes their eyes when you do something wrong. Virat Kohli supported a measure he thought was best for the country, but Mr. Guha should perhaps provide a list of cricketers and sportspersons who spoke against the IPL scam that was presided over by his favourite government, led by his favourite party, Congress. He should elucidate how many cricketers or sportspersons directly indicted or criticised the then Prime Minister Manmohan Singh, or the power centre who instructed the then Prime Minister Manmohan Singh when such scams broke out. When the nation was looted. When the people were fooled. I wonder what is Guha’s analysis of their silence. Were they scared of the regime? Or were they sycophants who shied away from criticism? Silly Kohli, had he said something like this, he would have been the most eligible political commentator in the country. I wonder if Mr. Kohli dares to assume that he has the intellectual prowess comparable to Mr. Guha, who despite being a ‘historian’ can be on the BCCI administrative panel and write about what our Army Generals should or shouldn’t say. If only cricketer Kohli was a historian like Ramchandra Guha, his long winded opinions on demonetisation would have been taken seriously. Mr Guha reveals himself. It would seem like Mr. Guha’s problem is not that Mr. Bacchan has changed his political preference, but that he changed his preference from being “close to Rajiv Gandhi and Congress”. I of course don’t come to this conclusion lightly. If Mr. Guha is so sensitive about ideological and political purity, I wonder how he hasn’t written an article naming and shaming Navjot Singh Sidhu for his famed “ghar wapasi” to congress, after resigning from a Rajya Sabha seat which he was nominated to by BJP? Or does Guha practise some sort of political untouchability where migration from Congress to BJP is ideological treachery while from BJP to Congress is a man’s stairway to heaven? Just like Pakistan seems to differentiate between ‘good terrorists’ and ‘bad terrorists’, Ramchandra Guha seems to draw a sharp distinction between ‘good sycophancy’ and ‘bad sycophancy’. Where he opens with a scathing indictment of Virat Kohli for being a sycophant of Modi (for praising demonetisation), he hopes that Shah Rukh Khan would stick to his and praise ‘raj mata’ again. One is forced to wonder if Mr. Guha stared into the abyss of sycophancy knowing fully well that the abyss had long ago, started right back at him. Mr Bajaj had openly expressed his political inclination to say he is a fan of Mr. Kejriwal. In such a scenario, is it right of Mr. Guha to package his words as that of a politically neutral industrialist? To top it all, in his interview, Mr. Bajaj had also said he doesn’t know much about politics. Considering Guha had dismissed Kohli’s praise on the very same ground, would it not be fair to do the same with Bajaj? Or perhaps Bajaj’s words become the gospel truth because it helps Guha indict BJP owing to his own political preference? While Guha displays his affinity to Soros, he sprinkles it with a few words on the Emergency to scuttle any sort of criticism that might come his way. For the uninitiated, George Soros is the same man who is accused of pumping millions and billions of dollars into the media industry to try and shape public opinion and meddle with politics in Europe. He is accused of causing instability in Myanmar. He is accused of funding left wing causes in Europe. Accused of meddling in domestic affairs of the Hungarian Government. He has also been accused of funding the political forces that were supporting the secession of Catalonia. Hackers working for DC Leaks released several internal documents of the Soros Fund, among them, certificates and reports on the Fund’s participation in the sponsoring of the cup de tat in Ukraine. Back home, the George Soros and his ‘Open Society Foundation’ is at the heart of sponsoring many NGO’s whose licence has been cancelled for various reasons. In fact, the Modi Government had put Open Society Foundation on a watchlist in 2016. What is surprising and shameful, is that Mr. Guha here attempts to glorify destructive forces like that of George Soros and his ‘NGO’ without informing his readers of the misgivings and controversies outright. Perhaps it is Guha’s contention that the Media and “intellectuals” like him deserve millions and billions of dollars of free hand outs just to oppose any government that goes against set political orders and create internal chaos? I would certainly hope not. After Mr. Guha’s long winded rant in hypocrisy, and my equally long winded rebuttal, it is perhaps also necessary to evaluate how ‘neutral’ and ‘intellectually honest’ Mr Guha is himself. A few days ago, scientist and columnist Anand Ranganathan had put out information detailing Guha’s blatant tinkering with facts when presenting historical facts, in a bid to protect the Nehru-Gandhi dynasty. STUNNED. Prof Guha does not mention in ANY of his writings and books (MoMA; P&P; IAG) that Majrooh was jailed for his anti-Nehru poem. 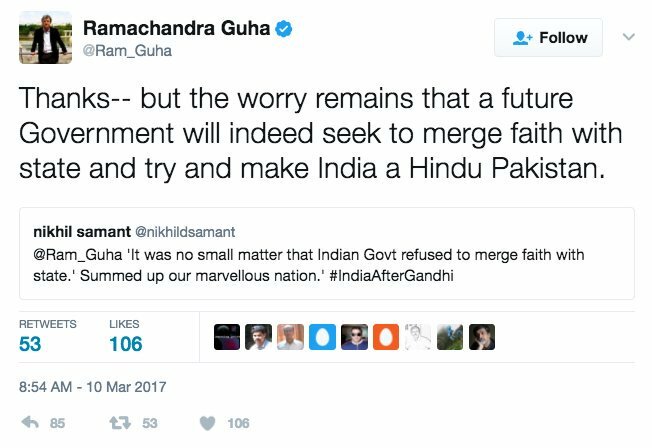 In this tweet of Guha, he had magically forgotten all about article 15(4), 16(5), 17, 25, 45, Temple Endowment etc. Perhaps Guha can attempt to hide his sycophany a litter better? Guha, who has written copiously on Ambedkar, never once mentioned his views on Islam. In his article, Guha had called Burhan Wani a ‘leader’ and had blamed the Kashmir problem on everyone and everything except Pakistan and Islamic radicalisation. Infact, one wonders if he has indicted Jawaharlal Nehru for going to the UN and sealing the fate of Kashmir. Guha wrote about Khushwant Singh’s commitment to democracy and pluralism, but had not once mentioned that Singh supported the Emergency and getting Salman Rushdie banned. It is then amusing he today talks about dissent and sycophancy. Guha in his book, Makers of Modern India devoted an entire chapter on Ambedkar, but left out what Ambedkar really thought of the Quit India Movement. One wonders, why did Ramchandra Guha not mentioned that Ambedkar described the Quit India Movement as ‘Irresponsible and insane, showing bankruptcy of statesmanship”? Was it so the current crop of ‘Gandhis’ can tom-tom the movement and reap its political benefits? In all his writing, Guha never mentioned that Jawaharlal Nehru thought “profit” was a dirty word. In all his writings, never once does Ramchandra Guha mentions that Nehru issued directions to ministers to not attend Sardar Patel’s funeral. Ramchandra Guha had pretty much absolved Jawaharlal Nehru in the fiasco of General Thimayya’s resignation. Airbrushed the Nehru-Menon conspiracy against the decorated General and doesn’t mention that his letter was leaked deliberately. 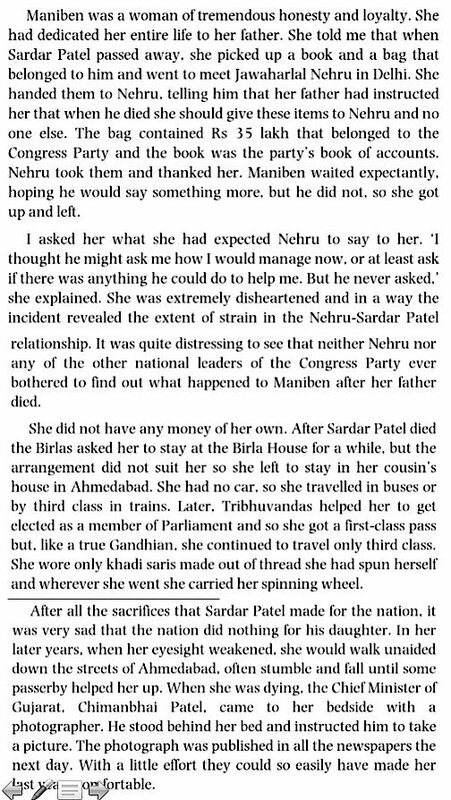 Ramchandra Guha, the ’eminent historian’ has never written about how Nehru and the Congress party mistreated Sardar Patel’s daughter. To add insult to injury, in a recent fiasco he was served a legal notice for holding BJP-RSS responsible for the Gauri Lankesh murder. Which in itself is a scathing indictment of his ability to get his facts right. I wondered for a while what the reasons for this horrifying intellectual dishonesty might be. What makes a historian distort facts and present to his readers? What might possibly be the reason for Ramchandra Guha to write copious number of articles with glaring loopholes? Hate for BJP? 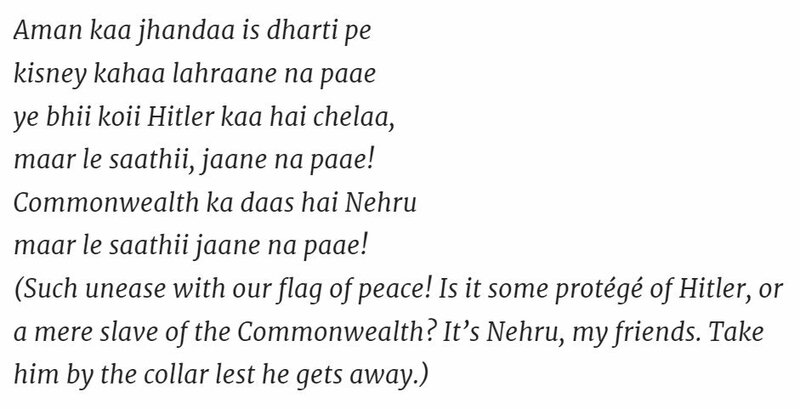 Love for Jawaharlal Nehru? Adulation for the Dynasty? Or perhaps, instincts of survival.